Backcountry Byways LLC: Too busy to plan a wildland trip? Backcountry Byways LLC can do it for you! Too busy to plan a wildland trip? Backcountry Byways LLC can do it for you! Are the risks and challenges of planning a wildland adventure keeping you from living the dream? Then let the experts at Backcountry Byways LLC do the work for you! 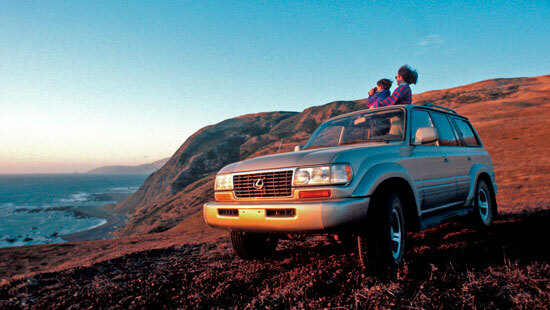 Explore wild California ... in your SUV! 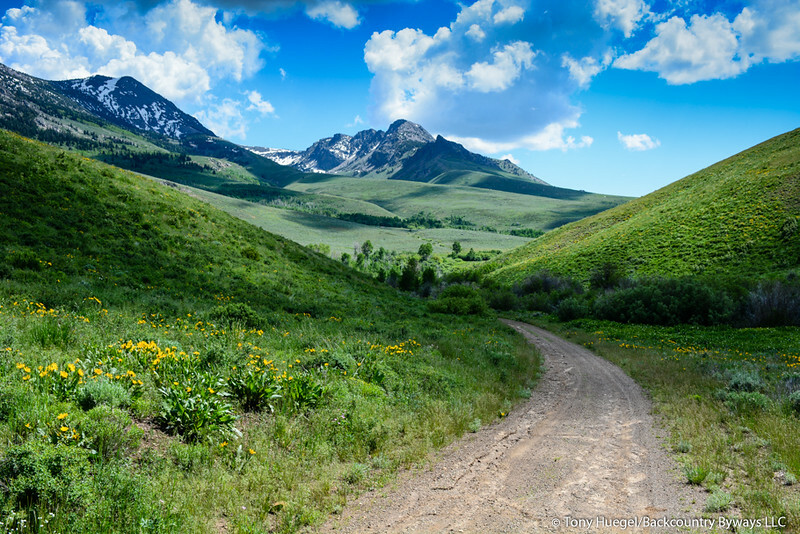 Our expertise has been acquired over 25 years researching and documenting the wildland roads of the American West for guidebooks, magazines like National Geographic Adventure, and for corporate and individual clients. Each adventure-motoring season, we take the work and worry out of planning immersive overland routes -- thoroughly, accurately and professionally -- for individuals, couples, travel groups, even families. Through our premium personalized service, we can do it for you, too! Continual field research, the latest cartography, GPS-based resources, consultations with public-lands agencies ... we apply these tools and more to all of our work. The final step: on-the-ground verification to help assure that the routes we develop are appropriate and accurate. Whether the objective is a total-immersion wildland-travel experience for a family in an SUV, a vagabonding couple, or riders of dual-sport and adventure-class motorcycles, we build routes tailored to our clients' vision. Deserts, mountains, canyons or coast ... We'll get you there! A proprietary GPX track file for use in a dedicated GPS unit, smartphone or tablet is at the core of our service. 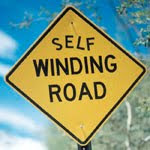 As your primary navigational tool, it will guide you along every mile of your route. Our self-paced routes typically include waypoints (point-of-interest icons) for lodgings, campsites, campgrounds, fuel sources and more. For travelers who enjoy camping, we continually document "cowboy-style" dispersed campsites on public lands as well as developed campgrounds. For those who prefer lodgings, we're always looking for authentically Western lodges, guest ranches and such that embody the spirit of wild-West travel. Logistical support (e.g., fuel delivery, vehicle shuttles) is available*. Trailside camping or backcountry lodges! Not everyone has the time, knowledge, expertise and resources to take on the risks and challenges of planning their own wildland journey. Our personalized service blends many of the assurances of an outfitter-guided trip. Yet it retains the qualities of a self-paced adventure, without the issues involved in traveling with strangers. While not for everyone, our personalized service can be the ideal solution for selective backcountry travelers. Working with only a few clients each season, we draw on decades of continuing research and knowledge to tailor an experience as closely as possible to each client's circumstances and interests. We eliminate the need to research and plan a detailed route yourself, while retaining the challenges of wandering the wild your way. We make it easy to find your way, while providing an experience that still demands self-reliance and resourcefulness to overcome the challenges -- and yes, risks -- inherent in experiencing wildlands of the American West. It is more affordable than guided trips that cost many thousands of dollars. Yet we can still include amenities of modern travel. It can be a mix of hiking, driving, riding, camping and lodging. That adaptability makes our personalized service suitable to a wide range of travel styles. We accept only a handful of commissions each season. This limitation is due to the time (often months) and resources required to develop and deliver accurate and appropriate services. It also is rooted in our commitment to remaining of service as you travel. We're not done until you're done. Our client roster is comprised of select yet diverse travelers. Most have experience with the often-primitive nature of immersive wildland travel, e.g., hiking, backpacking, camping, mountain biking, four-wheeling, etc. Often, we share previous experience with our clients through our Heart of the West Adventure Route. All have one thing in common: a passion for wildland travel. What does personalized routing cost? Our minimum fee is $1,050. Once our cost is calculated and an advance quote provided, the final fee can be higher. Much depends on the client's requirements and vision. -- any supplementary services you may request. If you decide to move forward, a 30-percent non-refundable (if you cancel) deposit is required for us to begin work. The fee is non-refundable (unless we are unable to deliver) because our expenditure of resources cannot be recovered if you cancel. The balance of our fee is due when the route is deemed by us to be complete, and deliverables are ready to be sent to you. Completion can require several months of work at our end. A key component of our service is the mandatory, on-the-ground pre-trip inspection and verification of every route we provide. Long experience has made clear that, no matter how much advance research is done, there is no substitute for direct inspection of a route. Field inspection often turns up unanticipated obstacles (landslides, wildfires, washouts, road closures, inadequate lodgings, etc.). Backcountry Byways LLC will deliver a GPS-based track file in the widely compatible .gpx format format. The file typically is loaded onto a purpose-built and suitable GPS unit, or smartphone loaded with a suitable .gpx file-reading app. We do not provide route files for GPS units. This is due to compatibility and navigation problems that often arise with routes, but which are avoided with tracks. The file will contain tracks denoting the exact route you will follow, broken down by day, daily lodging stops, daily mileages, or another useful itinerary. It also will contain waypoints for campgrounds, primitive campsites, fuel stops, lodgings, rest stops, viewpoints, toilets, and other points of interest. We provide paper maps when we can source suitable products for this purpose. Typically that means a readily available, folded map with your tracks highlighted. We also provide written documentation explaining elements of the trip, such as a description of each track. Expect frequent communications during development of your route. We will go over what we've developed with you, present drafts, link you to proposed lodgings, and report on what we've found during field inspection of your route. As you travel, we will do our best to assist with rerouting when weather, road closures, wildfires and other unforeseen events and circumstances force a change in the route. Clients must have, and must know how to use, a contemporary GPS unit suitable to long-distance motorized wildland travel. Older handheld units that were designed for hiking, geocaching, trail riding and other activities of limited length can be inadequate for long-distance travel on complex motor-vehicle trips. More and more of our clients are using smartphones, which have built-in GPS sensors. Once loaded with a .gpx viewing app (whether for iPhones or Android devices), these apps can function offline, relying on the GPS satellite system, the track and perhaps downloaded maps to monitor your location and progress. The routing we produce is for motorized wildland travel on public roads and right of ways. Your vehicle must be street legal. Importantly, it must be equipped to travel dirt roads that can include everything from primitive forest, mountain and desert two-tracks to maintained county roads. It also must be able to travel 250 miles or possibly even longer distances between fuel stops, depending on where you will be routed. We do not work with single-track motorcycle trails. Like all backcountry travel, adventure motoring poses risks to life and limb, to your vehicle, even to your ability to complete the trip. You are responsible for being properly prepared, and for safe and appropriate execution of the trip. You must accept full responsibility for all environmental and mechanical risks and dangers, including the risk that weather, wildfires, accidents, breakdowns or other events and circumstances may force you to terminate your trip. To this end, each traveler or traveler's guardian is required to sign a liability waiver holding Backcountry Byways LLC and its principals entirely harmless for the risks and dangers you are likely to encounter. Completing a commission to our exacting standards requires substantial effort over a period of months, from first contact through completion of your trip. March 1 typically is the deadline to commission a custom route for the subsequent wildland-travel season (usually mid-July through September). It's best to contact us as far in advance of your travel period as possible. Due to the complexity, time and resource commitment these projects typically involve, we can accept only a few each season. Just send us a note using the contact form provided on the right-hand column of our front page. We respond promptly. When you contact us, tell us where you'd like to travel, your mode and approximate dates of travel, the number of travelers, the travelers' level of skill and experience, whether you wish to camp or take advantage of accommodations, your interests, and what kind of experience you'd like to have. Please include your name, location, some information about your travel background and objectives, and contact information. 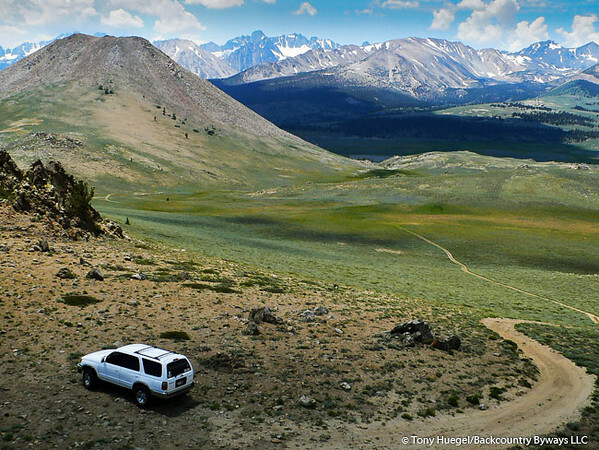 Explore the High Sierra -- without a backpack! Share with us your vision for a "trip of a lifetime." As we say: We do the work ... So you can live the dream. Tony does a fantastic job creating custom routes. Tony has put together routes for us in Idaho, Colorado, Utah, Montana that were fantastic. We could not possibly have done the work ourselves. If you want to maximize your enjoyment of the off road experience in the west use Tony's service.